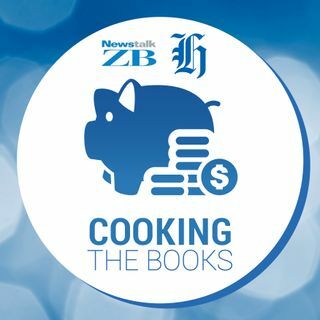 Each week the NZ Herald and Newstalk ZB's Cooking The Books podcast tackles a different money problem. Today, it's why you shouldn't be sucked in by budgeting's image problem. Hosted by Frances Cook. Budgeting has an image problem. Also, the sky is blue, the grass is green, and cats rule the internet. We all know budgeting sounds a bit boring, and for many people, it’s easy to ignore for that reason. But while people tend to get excited about buying a house, or ... See More investing in shares, creating a budget you can stick to is much more important. Anyone can run out of money if they don’t know how to run a budget. Why else do you think rappers or actors can end up in court, flat broke. You can spend any amount of money if you treat it as an endless resource. But budgeting doesn’t have to be boring, and it doesn’t have to mean endless spreadsheets. In fact, it can even include flamethrowers. For the latest podcast I talked to Tom Hartmann, personal finance blogger for the Commission for Financial Capability. We discussed the importance of including treats in a budget, how to budget in a way that works for your personality, and the tricks that help keep you on track.